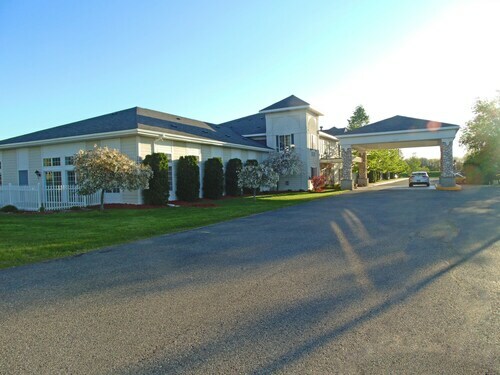 Situated in Cadillac, this golf hotel is within 3 mi (5 km) of Cadillac Lake Park and Boat Dock, Wexford County Historical Museum, and Eldorado Golf Course. Adventure Island Family Fun Park and Cadillac Country Club are also within 6 mi (10 km). 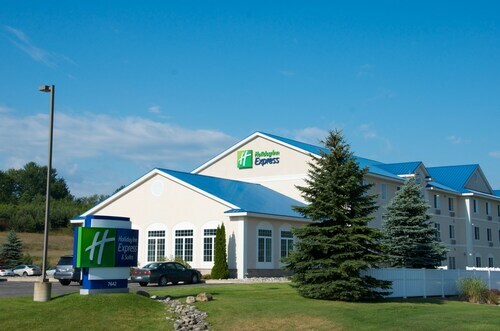 Situated in Cadillac, this hotel is within 3 mi (5 km) of Huron-Manistee National Forest, Adventure Island Family Fun Park, and Cadillac Country Club. Cadillac Lake Park and Boat Dock and Wexford County Historical Museum are also within 6 mi (10 km). 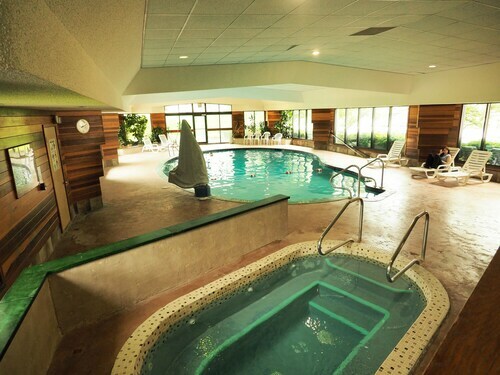 Located in the mountains, this Cadillac resort offering ski-in/ski-out access is 0.1 mi (0.1 km) from Huron-Manistee National Forest and within 25 mi (40 km) of Caberfae Peaks Ski & Golf and Hodenpyl Dam. Nestled on the beach, this Cadillac hotel is within a 15-minute walk of Adventure Island Family Fun Park and Cadillac Country Club. Eldorado Golf Course and Huron-Manistee National Forest are also within 3 mi (5 km). 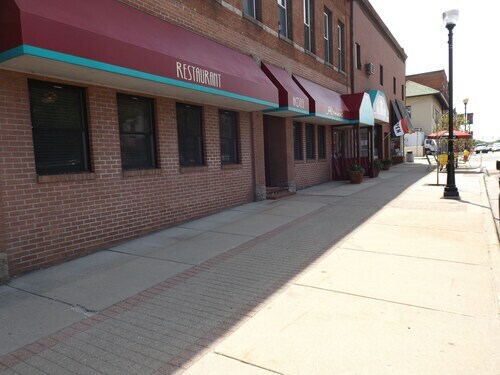 Situated in Cadillac, this hotel is within 3 mi (5 km) of Cadillac Lake Park and Boat Dock, Wexford County Historical Museum, and Eldorado Golf Course. Adventure Island Family Fun Park and Cadillac Country Club are also within 6 mi (10 km). 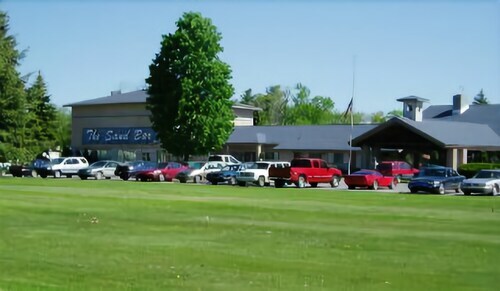 Situated in Cadillac, this hotel is within a 10-minute walk of Cadillac Country Club and Huron-Manistee National Forest. Adventure Island Family Fun Park is 1.3 mi (2.2 km) away. 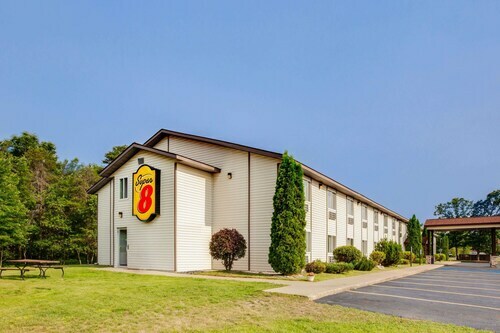 Situated in Cadillac, this motel is within a 15-minute walk of Cadillac Country Club and Adventure Island Family Fun Park. Huron-Manistee National Forest is 1 mi (1.6 km) away. 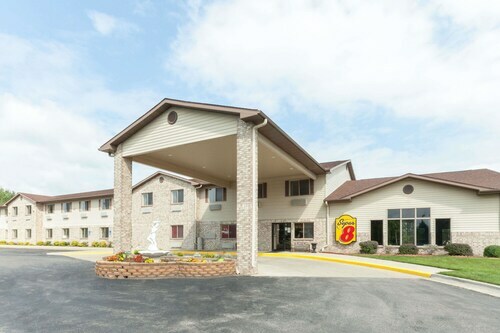 Situated in Cadillac, this motel is within a 15-minute walk of Cadillac Country Club and Adventure Island Family Fun Park. Huron-Manistee National Forest is 1.1 mi (1.8 km) away. 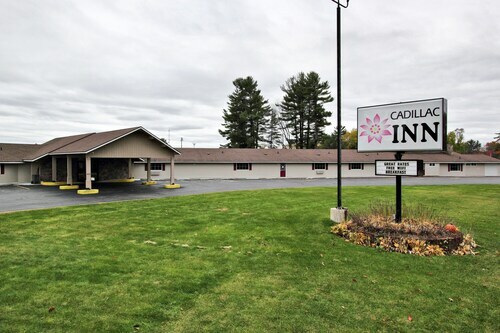 Located in the heart of Cadillac, this motel is within 1 mi (2 km) of Adventure Island Family Fun Park and Cadillac Country Club. Huron-Manistee National Forest and Eldorado Golf Course are also within 3 mi (5 km). Located in the heart of Cadillac, this hotel is within 1 mi (2 km) of Cadillac Lake Park and Boat Dock and Wexford County Historical Museum. Eldorado Golf Course is 2.8 mi (4.4 km) away. 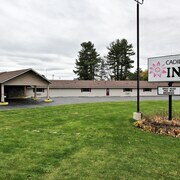 Situated in Cadillac, this hotel is within 1 mi (2 km) of Cadillac Lake Park and Boat Dock and Wexford County Historical Museum. Eldorado Golf Course and Adventure Island Family Fun Park are also within 6 mi (10 km). 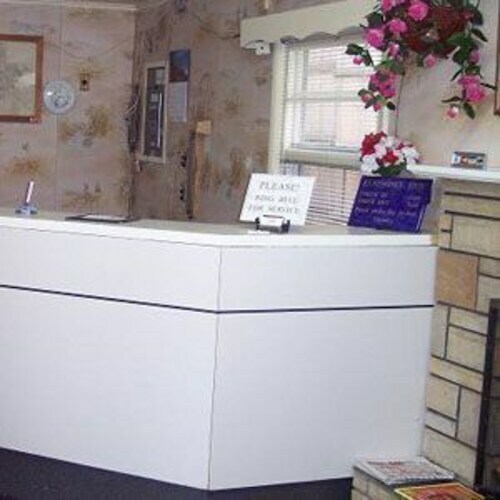 Situated in Cadillac, this hotel is within a 10-minute walk of Wexford County Historical Museum and Cadillac Lake Park and Boat Dock. Huron-Manistee National Forest and Adventure Island Family Fun Park are also within 6 mi (10 km). Fore! Feel like a winner of the Masters knowing you can easily book a great selection of Cadillac golf resorts! Whether you’re a rookie or a golf prodigy, you’ll be teeing off on your favorite green in no time. The golf hotels in Cadillac allow you to enjoy all the benefits of staying close to the premier golf courses in the area. Improve your game by working on your backswing, stance, and grip at the driving range before heading to the fairway for a bout on the back nine. Impress a business prospect on the executive course or enjoy a delightful day on the fairway with your family and friends, then head back to one of the best golf resorts in Cadillac for cocktails or dinner. Relax in your home away from home, knowing you’re bound to hit a hole-in-one with your hotel—though you still may need to work on your short game. 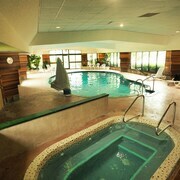 From 5-star amenities to budget lodging, Travelocity offers a variety of golf resorts in Cadillac to suit your every need. We can’t guarantee you’ll hit a double eagle on the course, but we will guarantee our prices. Book with Travelocity and your hotel will be on par, so you won’t bogey on your next golf adventure. The room was clean I liked the late hours of the pool..and the employees were freindly. Liked having the pool available all day long. 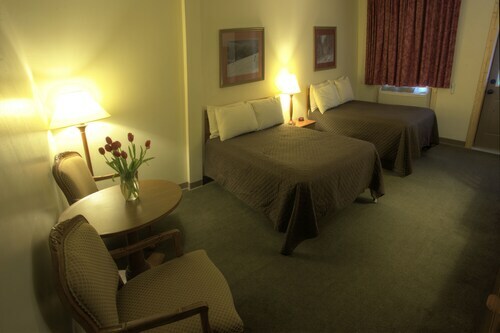 Clean rooms and great location. 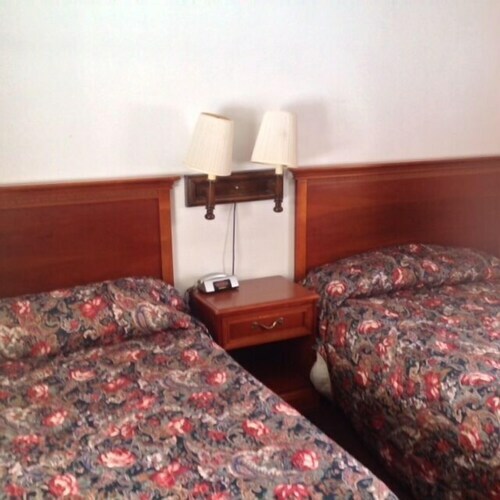 Location is great for snowmobiling, the rooms are comfortable and we enjoyed breakfast on site. 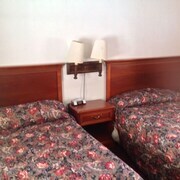 Nice and cozy room but the website and the booklet in the room stated there was an arcade and there was not so i had 3 very disappointed kids. The pool also had way to much chlorine in it. Other then that its was fine. Special Offer at! Lakefront Cottage With a? and Extra Bonus! The Love Shack! Ultimate Location for Up North Michigan Winter Fun! Family Fun on Spectacular Lake Mitchell!